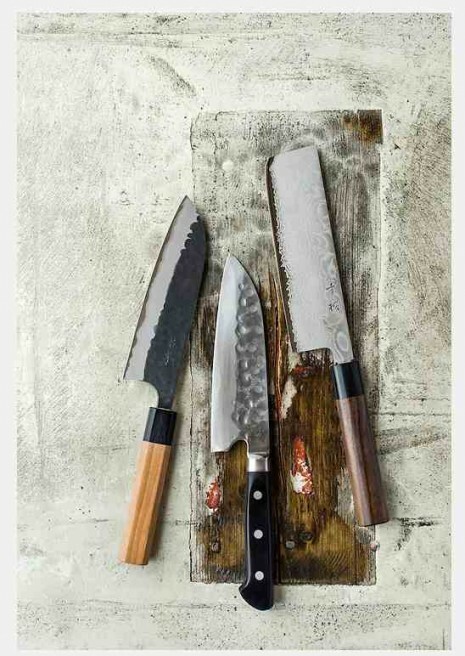 Masakage Koishi Santoku, by Kato San, is a carbon-steel knife clad with stainless steel; $275. The Maboroshi Santoku by Fujiwara boasts a white carbon-steel core with a stainless-steel jacket and a finger notch for easy chopping; $345. 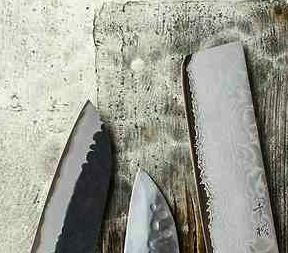 Konosuke’s Sakura Nikiri (or vegetable knife) is hand-forged from ginsan stainless steel, a metal that has the sharpness of carbon steel but is stainless; $387.